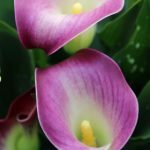 Here at Brighter Blooms we continue our quest to convince the public that Zantedeschia (Calla Lily) should decorate every patio in the land! But first of all, we were keen to acquaint you all with the versatility of the genus. In 2014 our entry to the Plant of the Year competition was the majestic Zantedeschia Memories. 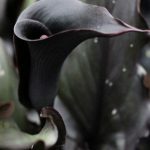 No, this photograph has not been photoshoped, the flower really is as black as this, growing happily in our greenhouse in Preston. We believe this is the closest achieved to the elusive ‘black flower’. 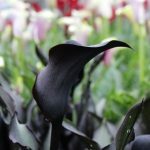 The equally dark foliage in the younger stages of the plant undoubtedly makes Zantedeschia Memories stand out from the crowd. We were delighted to find out that in 2014, Zantedeschia Memories was shortlisted as one of the top 20 in the Plant of the Year competition. And so we have reached to the other end of the colour spectrum, moving from bright, cheerful yellow (Zantedeschia Sunclub), to flaming bi-tones of orange and red (Zantedeschia Morning Sun), intense red (Zantedeschia Red Alert) and pink (Zantedeschia Pink Puppy). What has become clear in recent years is how much appreciation there is for bi-coloured hybrids. 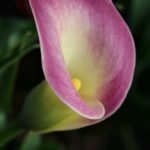 Zantedeschia Picasso, which has a purple flower edged with a wide white border has been one of the favourites for many years. 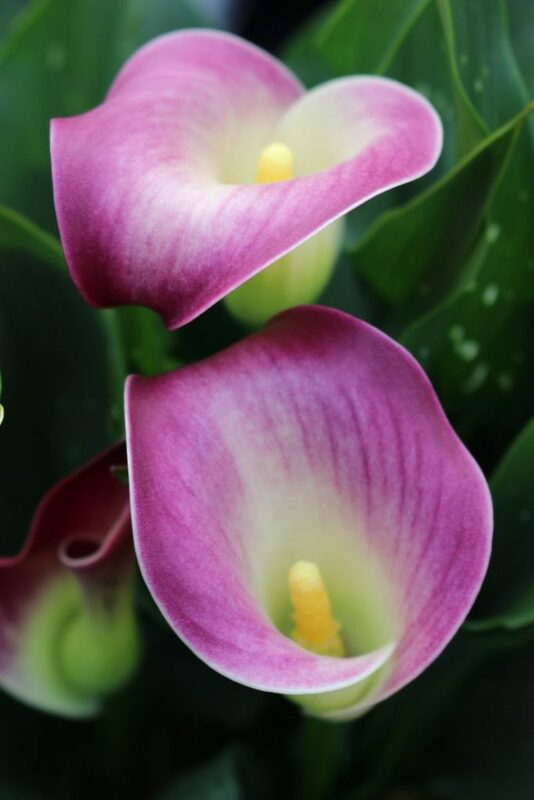 Our proposition this year is a bi-colour flower, namely, Zantedeschia Nashville. Zantedeschia Nashville is a more compact variety than Picasso, ideally suited to patio containers. The vibrant contrast between the wide dark pink to mauve border of the flowers and creamy white centre is a happy, vivacious combination. We hope this will bring a little bit of Nashville, and its sunny and exuberant disposition to London, for the Chelsea Flower Show 2016 Plant of the Year competition.